Hester Pulter was born Hester Ley, and in her manuscript she uses the alias Hadassah, or Hadassas, an epithet for the biblical Esther: by both circumstance and choice, she was a woman of multiple identities. Her date and place of birth have also been multiply identified, but the best combination of proofs puts her birth in or near Dublin in June in 1605.1 She lived until shortly before her burial on April 9, 1678, as her local parish register confirms. Origins are often uncertain, but we can always count on death—yet for Pulter’s manuscript, which also seemed to have died quietly with its maker, a second coming was in store. 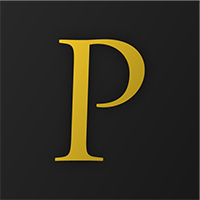 Pulter was born into the large family of Mary Ley (born Pettie or Pettey; d. 1613) and James Ley (1550–1629), a justice of the peace, MP, and founding member of the Society of Antiquaries. He was chief justice of the king’s bench in Ireland at the time of Pulter’s birth, but soon returned to England to work his way closer to the center of the court of James I, eventually succeeding in becoming the first earl of Marlborough in 1626. With this rise in their fortunes, the Ley family joined the aristocracy, thanks to the father of the Stuart king whom Pulter would (perhaps in thanks) go on to defend in verse not long afterward during England’s civil wars. Hester Ley married Arthur Pulter (1603–1689) on January 4, 1620, when she was fifteen years old. Although “Aletheia’s Pearl” (Poem 32) claims she was thirteen, a record has now come to light of the marriage of “Arthurus Pulta” to Hester Ley in Westbury, Wiltshire, on January 4, 1620.2 Arthur, part of a prominent and wealthy family, held an estate where they lived during most of their marriage: Broadfield (near Cottered in Hertfordshire) is named in several of Pulter’s poems. Arthur also held various public roles (justice of the peace, captain, sheriff) during the first decades of their marriage, but shortly after the wars broke out he seems to have retired to work on the house Pulter often unhappily identifies as a site of confinement, at least a day’s ride from London’s cultural epicenter and far even from the nearest town. However despondent such isolation may have left Pulter, Alice Eardley suggests it was paradoxically freeing for her as a writer: “Writing in apparent isolation and therefore liberated from the need to conform to the expectations and tastes of a widespread audience, she expresses opinions and emotions not usually encountered in poetry by early modern women, or indeed men” (Lady Hester Pulter, Poems, Emblems, and The Unfortunate Florinda 2). Many of Pulter’s poems refer to key events in the war-torn 1640s: the flight of the king and queen from London; the imprisonment and beheading of Charles I; the summary execution of key commanding officers. In such works, the poetic voice expresses a staunch and at times violent royalism. This position, if identical with that held by Pulter (as seems likely), would have put her in the minority in her home county and in opposition to much of her extended family, thus expanding her isolation from the geographical to the political and the personal. As Eardley notes, however, Pulter’s response to the social upheaval around her could be quite nuanced, since she does not, in her politically-inflected works, “reserve her ire for the monarch’s opposition and is instead particularly critical of the ruling classes in general for their failure to defend both their king and the social hierarchy over which he presided. It is clear that Pulter holds men primarily responsible for the nation’s political disintegration and for the widespread social and moral collapse with which that disintegration is associated” (3). Pulter’s royalism, as well as being nuanced, was probably relatively private, which may have allowed her and her husband to keep their estates when so many royalists lost theirs to sequestration. Pulter gave birth to eight daughters and seven sons over the course of almost a quarter of a century (between 1624 and 1648). Evidence from the poems suggests more than one of these pregnancies and births was associated with periods of serious illness and associated confinement. All but two of these fifteen children predeceased Pulter, and a number of their deaths are mourned in her verse. Her own death is also anticipated and indeed often welcomed in many poems as a relief from earthly suffering, both physical (in references to her sick and aging body) and mental (not only grief but a more general melancholy and anxious insomnia). Pulter’s poems also show her taking comfort in a God roughly recognizable as the one endorsed by the Church of England, a spiritual position conforming neatly with her secular politics, or even inseparable from them. Theologically, her focus is most frequently on eschatology: especially her own eventual reunion with her soul and God in heaven at the Day of Judgment, long after her death and (often vividly imagined) corporeal dissolution. While we might think that Pulter would have been educated in a manner suiting the daughter of an earl, her father’s elevation to that status post-dated Pulter’s childhood. Although nothing particular is known of her education, some of her reading material, as well as the intellectual matters alive in her social circle, may be cautiously deduced from aspects of her poems: marginal citations, allusions to particular genres and topics (natural history and alchemy especially), and a quite robust familiarity with recent scientific developments (like Galilean astronomy). Her own practical studies—of insects, birds, flowers, and rivers in and around the estate, for instance—appear to have supplemented her book learning and whatever intellectual stimulation she derived from her companionship, the precise nature of which is also unknown. Some of this companionship was likely owed to her sisters: Margaret Ley’s intellect, for instance, was respected enough by John Milton for him to compose a sonnet to her, while Dionysia Ley married the John Harington who was the son and namesake of the translator of Ariosto’s Orlando Furioso (1591). After Margaret’s death, Pulter spent several weeks in London associating with various well-known figures, a fact which shows (as Eardley notes) that the isolation in the countryside her poems lament was not unremitting. If we separate the non-poetic evidence for Pulter from that internal to the poems, much of this (still shadowy) portrait falls away; yet there is no reason to accept the claim, say, of an eighteenth-century historian that Arthur Pulter built the house at Broadfield “thro’ the Importunity of his Wife” (Henry Chauncy, Historical Antiquities of Hertfordshire [London, 1700], 1.145) with any less skepticism than we bring to Pulter’s representation of her own life. The latter, at least, is not hearsay; but biographical extrapolations from any such material must always be approached with caution. The best proof we have now, for instance, suggests that in “Made When I Was Sick, 1647” (Poem 31), Pulter shaved a couple of years off her age (or perhaps she was just rounding down). So much does not, of course, make her an unreliable witness to her own life, writ large, as it is in much of the rest of her verse, where her deeply felt responses to the carnage and chaos of the mid-seventeenth century, as to the afflictions and losses in her own life, offer richer material for understanding her personhood than perhaps any neatly numbered set of facts ever could. 1.Alice Eardley, “Lady Hester Pulter’s Date of Birth” Notes and Queries, 57.4 (2010): 498–501. See also Mark Robson, “Pulter [née Ley], Lady Hester (1595/6–1678),” ODNB Online: 23 September 2004. Most of the account here derives from Alice Eardley, “Introduction,” Poems, Emblems, and The Unfortunate Florinda, ed. Alice Eardley. The Other Voice in Early Modern Europe - The Toronto Series, Vol. 32, ACMRS (2014), pp. 1–21. 2.We are grateful to Kerry Plunkett for sharing her discovery of Pulter’s wedding date, which puts to rest debates about her age at marriage. See “England Marriages, 1583–1973,” database, FamilySearch (https://familysearch.org/ark:/61903/1:1:NKQN-25K : 10 December 2014), Arthurus Pulta and Hester Ley, 04 Jan 1620; citing Westbury, Wiltshire, England, reference, FHL microfilm 1,279,369. Pulter’s works have survived in a single bound manuscript of 167 leaves, catalogued as BC MS Lt q 32 in the University of Leeds Brotherton Library in the UK. At one end of the book, the reader finds 120 poems divided into two sections: “Poems Breathed Forth by the Noble Hadassas” and “The Sighs of a Sad Soul Emblematically Breathed Forth by the Noble Hadassah.” At the other end of the book (inverted or upside down) is an unfinished prose romance entitled “The Unfortunate Florinda.” While many poetry manuscripts from this time period consist of anthologies of multi-authored poems or collections that accreted new material over a number of generations and by many hands, Pulter’s poems were consciously gathered neatly for presentation and attributed to one source. Bound in calf-skin, this 8” x 5” book has minimal blind-tooled lining on the covers. Physical evidence in the manuscript suggests that Pulter first wrote the poems on loose papers in the 1640s and 1650s (with a few dated in the 1660s). In the 1660s, an unidentified scribe worked with the pre-existing draft poems to create a “fair” or presentation copy in clear italic handwriting. There are annotations and corrections in a second hand that is probably Pulter’s (based on comparison with what seem to be authorial rough drafts of her romance in loose papers catalogued with the manuscript). It seems that Pulter supervised the production of the book: adding missing lines, emending errors, recording some servants’ wages, inscribing a few poems, and supplementing the title pages (adding the pseudonym Haddasah to one of the book’s several titles, for instance, and scribbling “Marvel not my name’s concealed / In being hid it is revealed” on a free endleaf). Between the first section of poems and the 54 verses labeled as emblems, the reader discovers two poems in what appears to be Pulter’s hand. Three more poems follow, which were added on thicker paper “tipped in,” or later glued, into the bound volume. Another poem, in the “Pulter” handwriting, is inscribed on a loose leaf catalogued with the bound manuscript. The title “Lady Hesther Pulter’s Poems” was later added in gilded lettering to the book’s spine, probably in the eighteenth century. There are a few signs of a later limited readership: in the eighteenth century, a reader added annotations and family trees for the Pulter and Ley families. Sarah Ross surmises that this later hand is that of Angel Chauncy, who had a genealogical connection to the Pulter family and who was rector of the nearby Cottered parish church. 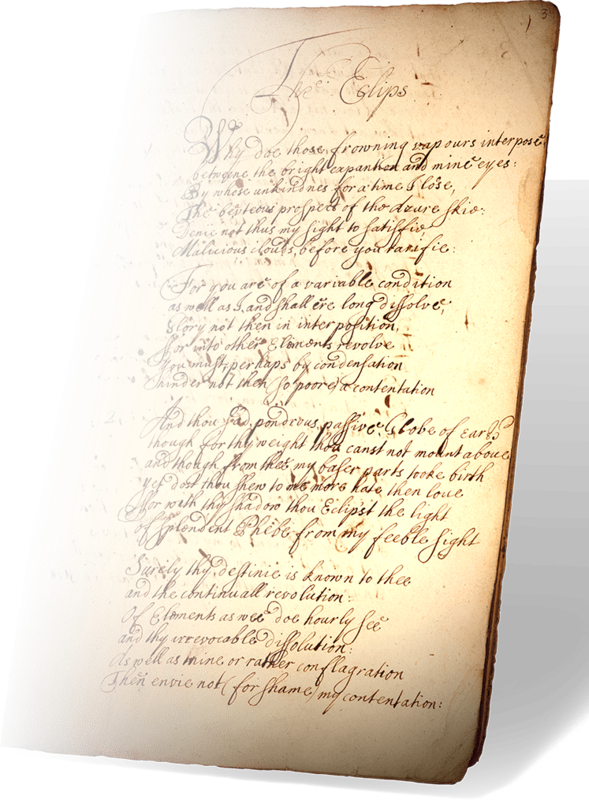 Someone also later inscribed a blank page with a 1708 poetic elegy entitled “A Pastoral on the Death of a Young Lady Mrs. Ann Everett,” and other annotating hands have scribbled variations of a verse drawn from a 1686 play by Thomas D’Urfey in the volume and on loose papers attached to it. There is evidence that someone has torn leaves out of the book, but no sign that these pages included Pulter’s poems. This manuscript seemingly lay unread, perhaps stored in an attic, for over 250 years. In 1975, the Brotherton Library purchased the manuscript at an auction at Christie’s from Sir Gilbert Inglefield, an architect, book collector, and former mayor of London. No records exist that indicate how the manuscript made its way from Hertfordshire to London or who owned it between 1700 and 1975. In 1996, Mark Robson brought Pulter’s works to light when he was helping the Leeds library with the project of creating a digital catalog of their seventeenth-century manuscript poetry.